Welcome to the Mood, Emotion, and Development Lab! 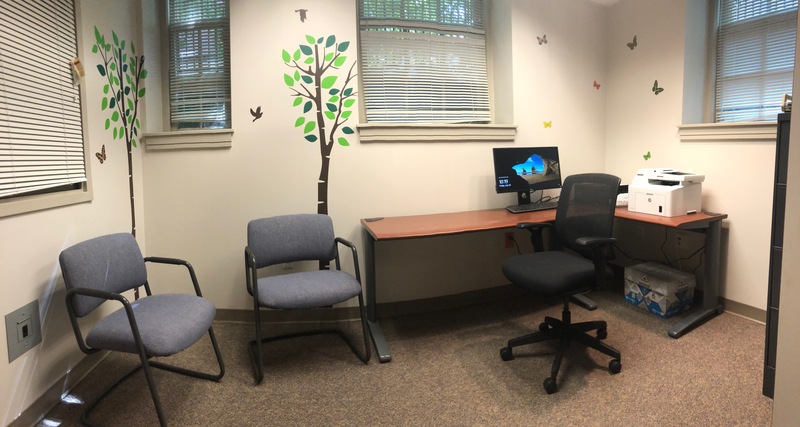 In our waiting area, you may be asked to complete questionnaires or to wait for your child or another family member while they complete interviews or EEG assessments. We provide snacks and beverages while you wait. 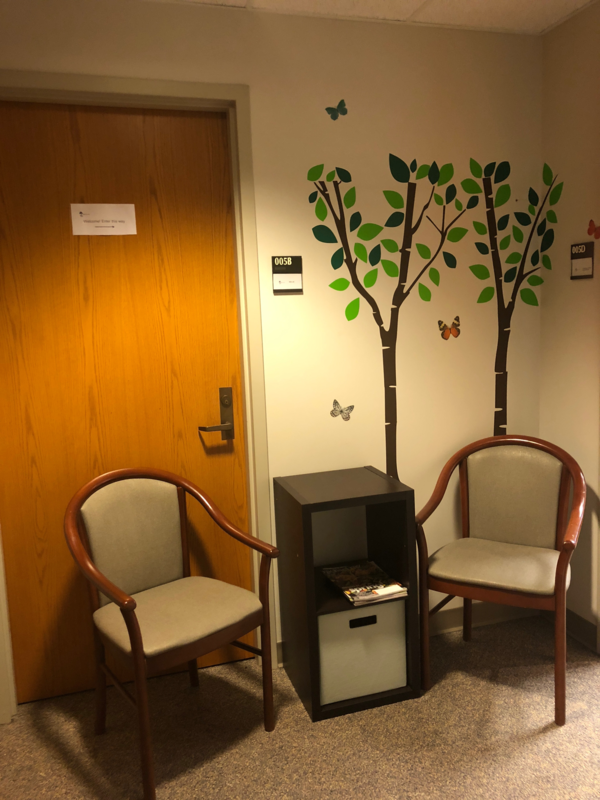 In the interview room, a research assistant will walk you through informed consent and assent documents for the study you are interested in and answer any questions you may have before deciding whether you would like to participate. You may also work with a trained interviewer to complete in-person diagnostic interviews about yourself or your child in the interview room. In the EEG room, trained research assistants will place an EEG cap (a stretchy cap like a swim cap) on your or your child’s head. The EEG cap has sensors that will measure brain activity while you or your child complete computer tasks. To help conduct the electrical signal between the electrodes in the cap and your or your child’s scalp, we also put a small amount of gel in participants’ hair. The gel will not harm your hair, and it washes out easily. 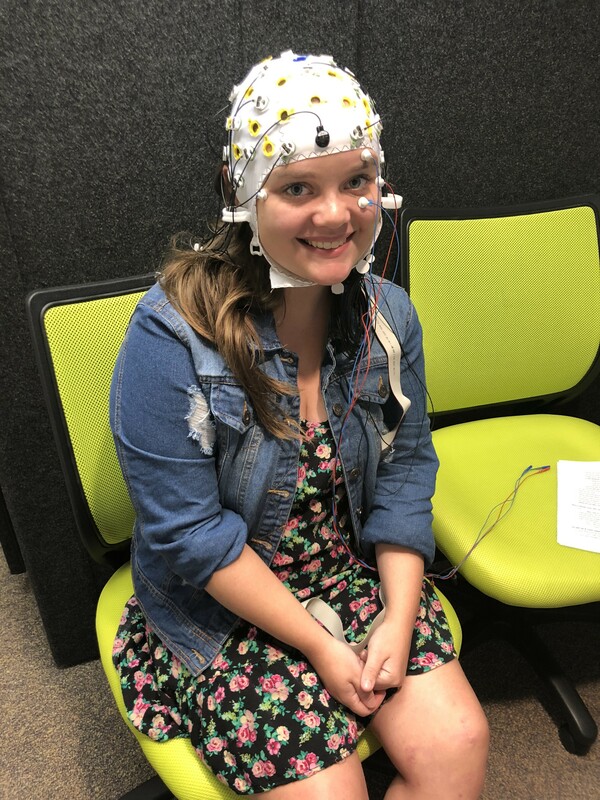 While brain activity is being recorded using EEG, participants complete computer tasks in a semi-soundproof booth called a Whisper Room. 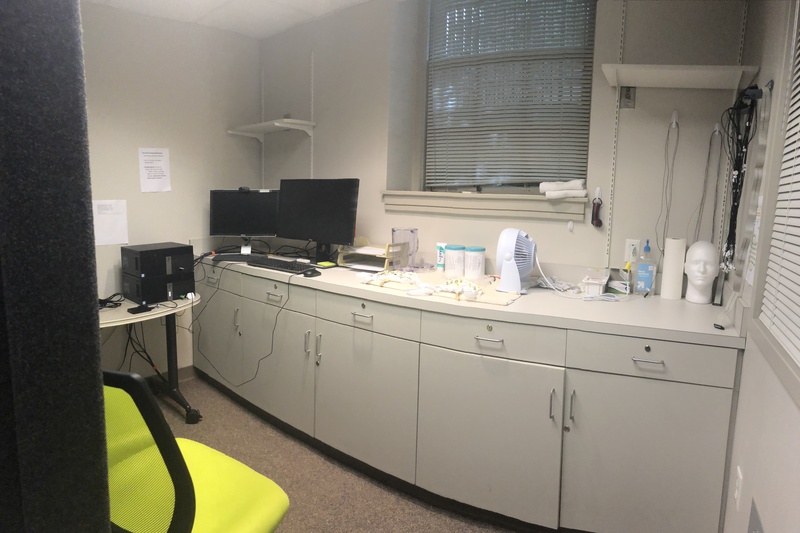 The Whisper Room blocks out outside sounds and light so to help participants focus on our tasks and to ensure that we can collect good quality EEG data.